2012 is looking like a busy year for Stark House Press. 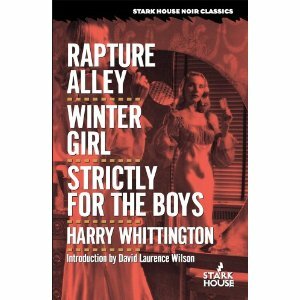 First, we have our next two books nearly ready to ship, the three-in-one volume of Harry Whittington's rediscovered books, RAPTURE ALLEY / WINTER GIRL / STRICTLY FOR THE BOYS. Up right after that is the new duo we announced last time, Bruce Elliott's ONE IS A LONELY NUMBER and ELLIOTT CHAZE'S BLACK WINGS HAS MY ANGEL. Acoompanying the Whittington book is one of David Laurence Wilson's finest introductions and we have all new pieces by both Ed Gorman and Bill Crider for the Elliott and Chaze book. 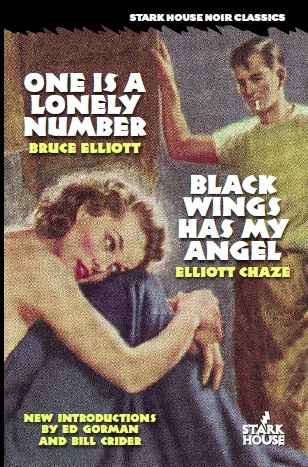 If you've never read BLACK WINGS before, you'll see why it's become the Gold Medal classic it has, and I promise that you'll be looking for more from Bruce Elliott after reading ONE IS A LONELY NUMBER. It's a perfect pairing, one hardboiled noir leading perfectly into the other. Which leads to the next big announcement: Stark House Press is beginning to release e-book versions of some of our titles. Our first offering is up now, Jada Davis's powerful ONE FOR HELL, available for your Kindle here, and for your Nook or other epub device any time now. The book also contains the introduction by Jada's son, Mark, which includes a poignant account of his father's life and death. We'll talk more about Jada Davis in the future. And any day now you'll be able to pick up an e-book version of the late great E. Phillips Oppenheim's previously uncollected short stories, SECRETS & SOVEREIGNS, which includes not only Daniel Morrison's introduction, an essay by Oppenheim himself, but also Daniel's complete bibliography. All of the features in the print book are in the e-book. The next book out will be a pair by another late master, the once-controversial James Hadley Chase. 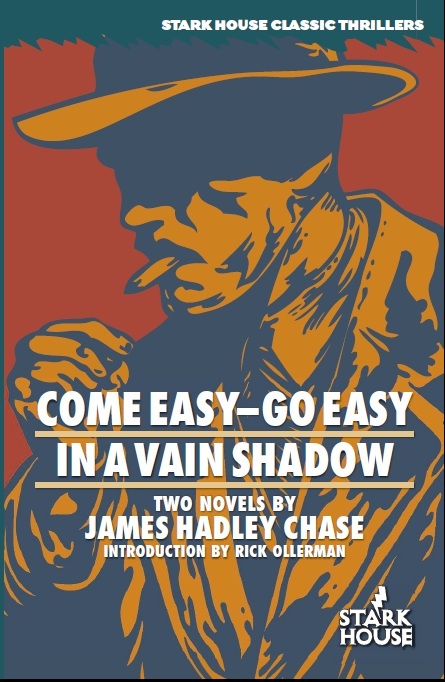 Hailed by many as the master of the thriller novel (and I mean that in the old-style definition), author of not one but two banned books to go along with his nearly ninety other novels, COME EASY--GO EASY / IN A VAIN SHADOW will either bring you back to an old friend or introduce you to a new favorite. And the standard message: if you're not a member of our Crime Book Club, sign up now to get each book shipped to you automatically and take advantage of the special discount for new members to fill out your collection of back list titles.